To enjoy the Dubai Safari, adults will have to pay Dh50-85, while tickets for children will cost Dh20-30, depending on the experience they choose. Access to Dubai Frame will be free for children under three, and people of determination. "We aim to offer the tickets at an affordable rate for residents and visitors to make the experience accessible to everyone," Hussain Lootah, director general of Dubai Municipality, told KT. 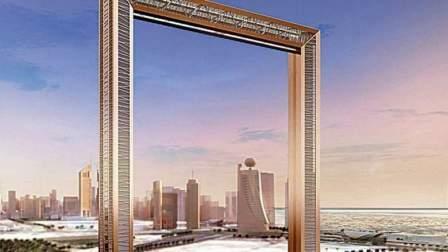 Lootah said both structures are set to be ready by the end of the month, without revealing the actual date of opening. Tickets to both landmarks will be available on mobile apps as well, Lootah said. "People will be able to register on the app and make an e-payment for the ticket," he said. The e-tickets will complement paper tickets offered on the site. "It will be implemented on stages, but the app will be comprehensive and will offer an informative and interactive experience." "There will be games such as naming animals and their breeds to keep children motivated...while increasing their awareness on animal welfare. We want to endorse that culture from an early stage to help grow an educated generation," said Lootah. Standing at 150m high and 93m wide, the Dh160-million Dubai Frame is now rising tall in Dubai's Za'abeel Park, and will offer visitors a 360° view of Dubai as they walk through the high-altitude glass bridge. Taking the one-minute elevator ride, people will be able to view old and new Dubai from opposite directions of the horizontal glass bridge on top of the frame.